His two biggest positions underperformed the SPY’s 17.4% return since then. As a result, his weighted average return was only 15.1%. If he had invested equal amounts in each name, his return would have been 22.3%, beating the SPY by 4.9 percentage points. During the fourth quarter David Tepper made new purchases. His top 12 new stock picks had the best returns we’ve seen so far. These 12 stocks had an average weighted return of 20.4% since the end of December, vs. SPY’s 5.9% return. His top three picks had a better performance. In January, Tepper filed a 13G form showing an additional $2.6 million in Dean Foods (DF) shares. We haven’t seen anyone else who bought Micron (MU) so far, but Leon Cooperman’s Omega Advisors added United Continental during the fourth quarter as well. There are several other hedge funds who bought General Motors, among which are Roberto Mignone’s Bridger Management, Richard Perry’s Perry Capital, and Leon Cooperman’s Omega Advisors. John Paulson had Hartford Financial (HIG) in his portfolio at the end of third quarter. Second Curve’s Tom Brown was bullish about JP Morgan. David Tepper also bought very small amounts of three grocery stores, but they terribly underperformed the market. David Tepper also made significant additions to his existing positions. He increased Smurfit-Stone Container Corp (SSCC), Hewlett-Packard (HPQ), AMR Corp (AMR), and UnitedHealth Group (UNH) by between 50% and 70%. He at least doubled his Citigroup (C), Microsoft (MSFT), International Paper (IP), Applied Materials (AMAT), Goodyear Tire (GT), Lam Research (LRCX), KLA-Tencor (KLAC), Teradyne (TER), Temple-Inland Inc (TIN), and Con-Way Inc (CNW) holdings. These stocks had an average value weighted return of 9.1% since the end of December, beating the SPY by 3.2 percentage points. Recently he disclosed that he bought more GT shares. 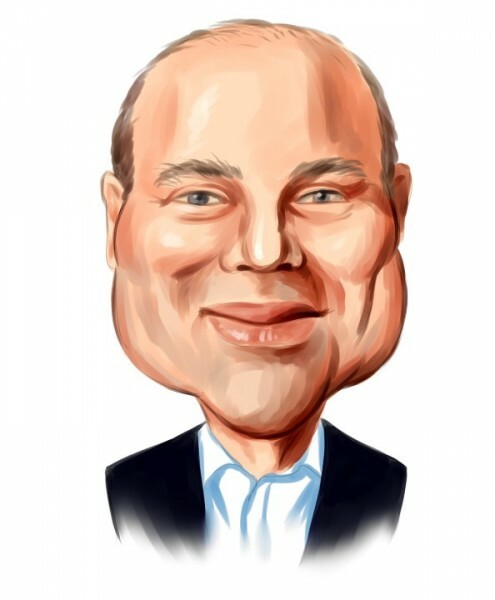 At the end of December, David Tepper had disproportional amounts of banking stocks. His top 3 positions are mega cap banking stocks. He also likes technology companies such as HPQ, MSFT, MU, AMAT, LRCX, and CSCO. Tepper is also extremely bullish about pharmaceutical companies, such as PFE, MRK, and JNJ. David Tepper’s top 20 stock holdings had a weighted average return of 8.2% since the end of 2010, outperforming the SPY’s 5.9% return. David Tepper’s Appaloosa joins the list of hedge funds with Microsoft holdings. The list also includes Thomas Steyer’s Farallon Capital, Richard Perry’s Perry Capital, Leon Cooperman’s Omega Advisors, Barry Rosenstein’s Jana Partners, Curtis Schenker’s Scoggin Capital, David Einhorn’s Greenlight Capital, Brevan Howard, and Whitney Tilson’s T2 Partners. Tepper was one of first hedge fund managers who invested in paper products companies. Nowadays, SSCC is attracting a lot of interest from hedge fund managers. David Tepper has been on a roll and he’s on his way to achieve another multi-billion dollar year.